Considering Extending your home or making use of that dusty loft full of long forgotten belongings in old cardboard boxes ? A recent study on house building extensions confirmed that a side or rear addition may provide added value in the tune of 10-15% after the cost of the works. A loft conversion it seems is the better option providing a possible 20% return on investment. This is mainly due to the structure (i.e. Roof and space) is already in place therefore reducing the level of building costs. These are our 10 tips that will steer you along the correct path. Often the first thing that springs to peoples mind when considering a project is to seek out an Architect. This is often best if you have grand plans on a large scale. 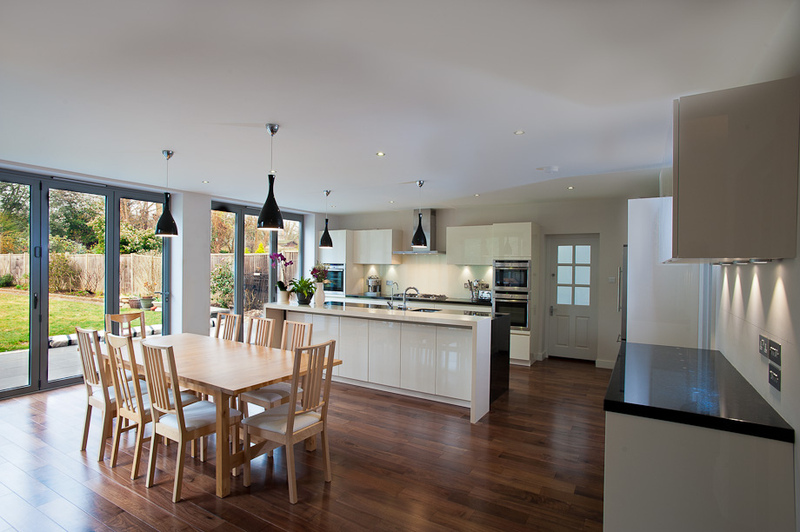 However for the average sized extension or indeed a loft conversion a Chartered Surveyor or even better an experienced Architectural Technician will save on project costs. The more information you can provide to the designer at the initial stage will save late and potentially costly changes during the course of the building works. Draw up a list or document or your requirements and even rough sketches. This also cuts down on costs by the designer to save second guessing and redrafting drawings. Depending on the size and scale of the extension or loft conversion you may be able to avoid the need for planning permission. This will cut down on time delays and costs. The government has amended the Town & Country Permitted Development Order to encourage homeowners to extend their properties without the need for formal planning permissions. There are criteria and limitations on size though, so it is important to leave this in the hands of your appointed designer. If your property is Grade Listed or set in a conservation area then the normal planning rules will apply. Always submit the plans to the Building Control Department at the local authority. All loft conversions and extensions will need to comply with these regulations that ensures structural changes, insulation thicknesses, roof, floor and wall design plus drainage meets the necessary standards. Some builders suggest just submitting a building notice but this can cause added unforeseen costs during construction. Submit a full plans application and get the plans and structural calculations rubber stamped by the building control department prior to commencing works and this will save you later stress and costs. Building up against a party wall or extending near a boundary may also require complying with the Party Wall Act 1996. It is best to avoid getting builders in too early to price the job. Unless of course you simply want an idea of costs. All builders would much prefer a set of detailed building control approved drawings prepared by your designer. These will have all the construction details and relevant notation including specification. Always get 3 or more quotations (known as tenders). Pick 3 similar sized firms. Get your designer to check over all the tenders. Price should not be your number one factor when choosing a builder. The chosen firm will be working in your house, so also go on your own gut feeling and whether you feel a good relationship will be bonded. A builder with good communication skills and friendly approach is always best. Speak with the builders past clients and go and see other projects completed before deciding on which builder you are going to appoint. Ask your designer to obtain a building contract. These are known a JCT Minor Works Agreements. These are legal documents but only cost around £30 per copy to obtain. These confirm the fixed tender price, start and completion dates, periodic payment terms, Insurances and a defect liability period of 12 months after the extension is completed. One of the biggest problems that leads to stress and inflating costs of any project is making alterations to the design during the building works. Keep to the design and you will avoid delays and keep good relations up with the builders. Always have a contingency fund of around 10-15% over the tender costs. It is best you avoid publishing this in any specifications. Budget for floor finishes, tiling, sanitary ware , fixtures and fittings at the initial tender stage and avoid builders quoting what is known as Provisional Sums. These are estimated metre square costs. Often, depending on your tastes on finishings, these can often prove more expensive. Following the above 10 point list will certainly avoid you a roller coaster ride and a much more enjoyable experience in your grand design !